The leading platforms enabling augmented reality technology lead our headlines in Market Reality this week. Unity Technologies received a sizable investment and PTC striking another development partnership as its annual LiveWorx conference wraps up. Fittingly, both companies made news earlier this month with the announcement that the former would bring native support to Tango devices and integrate with the latter's Vuforia platform. Meanwhile, another augmented reality company, BANC3, has won a large contract from the military. Technology investment firm Silver Lake pledged a strategic investment of up to $400 million to Unity Technologies. Silver Lake joins existing investors, such as Sequoia Capital and WestSummit Capital, while placing their managing director, Egon Durban, on Unity's board of directors. The investment comes less than a year after DFJ Growth led a $181 million series C round of funding. While the investment will be used to spur growth of the company's augmented/virtual reality capabilities and its core engine, John Riccitiello, CEO of Unity, told Bloomberg News approximately half of the funds will apply towards cashing out employees and early investors. "Our mission to help game developers bring their disparate creative visions to life has enabled us to create a rapidly expanding global platform with enormous growth potential both within and beyond gaming," said Riccitiello in a news release. "We look forward to partnering with Silver Lake, with its proven technology industry expertise, to enhance Unity's next stage of growth, allowing us to accelerate the advance of augmented and virtual reality in both gaming and non-gaming markets and continue to democratize development." Already a cornerstone of gaming, Unity has also become a leading platform for development of augmented and virtual reality content. The company has formed partnerships augmented and virtual reality with Facebook, Microsoft, Google, and NASA Jet Propulsion Laboratory, among others. 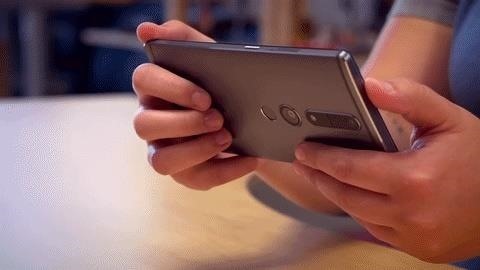 Their position has resulted in two billion unique devices with a Unity-based app installed in the first quarter 2017, a 40 percent increase compared to the same period last year. Each month, around one billion unique devices receive ads from the company's ad network. "Unity's revolutionary development platform and its exposure to strategic mobile, gaming, and virtual and augmented reality markets is poised to create multiple new high-growth opportunities for the company, its developer community, and its enterprise partners in the years to come," said Durban. "We are very excited to partner with John Riccitiello and his world-class team, along with the company's existing investors, to achieve Unity's long-term strategic vision and realize its full growth potential." Janeiro Digital announced a development collaboration with PTC that will pair the former's XFORM platform with the latter's ThingWorx software. The XFORM foundational platform enables companies to bring new software solutions online. By integrating ThingWorx into their platform, Janeiro can leverage the ThingWorx's capabilities for developing and deploying augmented reality and industrial IoT tools. "Connected devices are only one piece of the IoT puzzle. How all of those pieces come together within your enterprise ecosystem is the key to driving positive business outcomes," says Jonathan Bingham, CEO of Janeiro Digital, in a news release. The Department of the Army selected augmented reality defense firm BANC3 as a prime contractor for the Responsive Strategic Sourcing for Services (RS3) contract, which is worth $37 billion over the next 10 years. According to GovConWire , BANC3 joins 54 other contractors selected to provide services under the contract. RS3 covers professional services for Command, Control, Communications, Computers, Intelligence, Surveillance and Reconnaissance (C4ISR), including engineering, research, development, testing, and training. RS3 is the largest such contract won by BANC3. 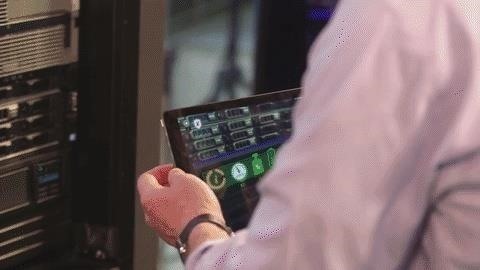 Based in Princeton, New Jersey, the defense contractor focuses on research and development to extend augmented reality applications to the military and other industries.